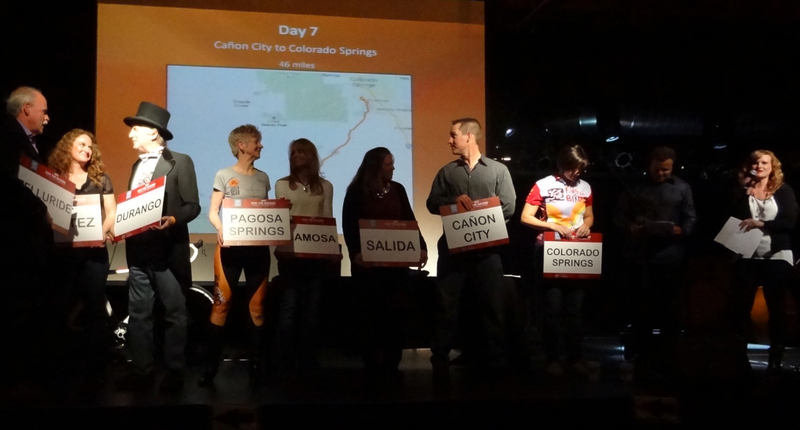 The route of the 2013 Ride the Rockies, the wildly-popular annual week-long citizens event ride in Colorado every June, was announced this evening. Event Organizers arranged a fun party for old and new riders, sponsors and support staff to celebrate the announcement of the route for 2013. The route changes every year, 2013 will be the 28th Ride the Rockies and the route is set to begin in Telluride and end seven days later in Colorado Springs. Registration for Ride the Rockies 2013 is open Sunday, February 3, 2013 at 12:01am (midnight): ridetherockies.com. Registration for the lottery closes Feb 22, 2013 at 6pm. Additional Costs: meals, hotels, sherpa camping, rest stop specialty foods, transportation to start and from finish (buses available), bike shipping (trucks available), massage, beer, mechanic tips. Included: event jersey, water, basic rest stop, free-camping at local high schools, one 50lb bag transfer, sag support, music, talks and movies. 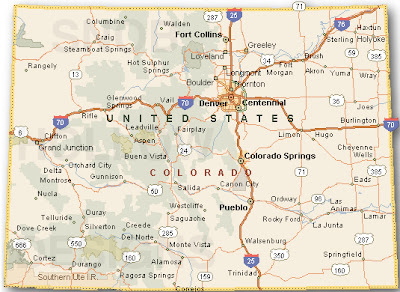 Colorado has some big mountain passes and although the riding is not easy, Colorado is a very popular state for cycling. Ride the Rockies is tough to get into, after an open registration, a lottery system determines the lucky 2000. 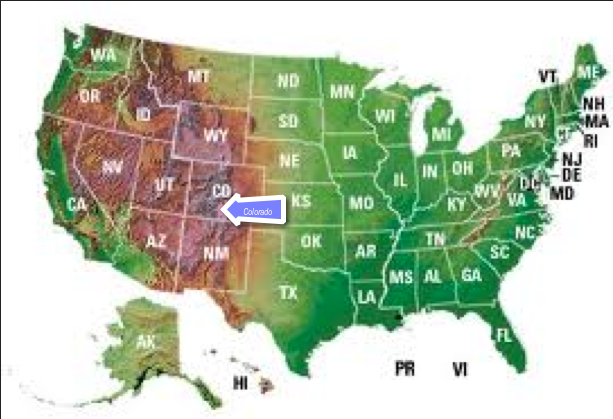 According to the Ride the Rockies website, past riders have represented all 50 states and over 18 foreign countries. One of tonight's attendees had ridden 25 of the past 27 Ride the Rockies. Ron Kiefel, Lucas Euser, and announcer Dave Towle were on hand to help present the 2013 route. Thank you to Dan Grunig and Scott Christopher of Bicycle Colorado for inviting me to the party tonight. It was fun to again see my old friends Brian, Steve and Ron (the event Mavic support crew) and caterer Danny Flippin' Flapjacks. I was also very excited to have finally met in person Kris Thompson and Amy Thompson of 303Cycling.com at the event, I am a faithful reader of their site. Kris Thompson will riding the 2013 Ride the Rockies; I look forward to hearing his stories. 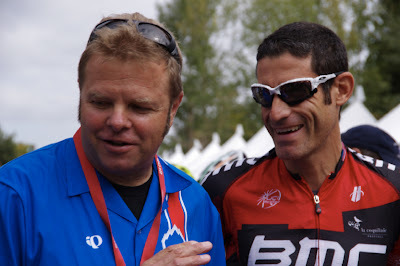 Ron Kiefel and brothers Rich Hincapie (a regular on the ride for years) and George Hincapie will also be riding Ride the Rockies 2013. Read the stories of guest bloggers from the 2012 Ride the Rockies Ride. 2013 Death Tour Ride: 3 days riding, 232 miles, 16,500 ft elevation gain (avg 71ft+/mile) (Sold Out), The 3rd day of this ride is the Iron Horse Classic route. 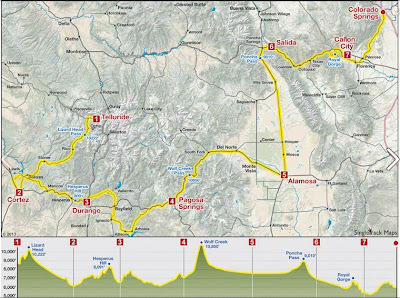 I am signed up for the Death Ride Tour (300 riders) this year, which happens to overlap routes in Telluride with Ride the Rockies (2000 riders). The two event rides will share the road and (first 3) reststops heading south out of Telluride on June 9th. 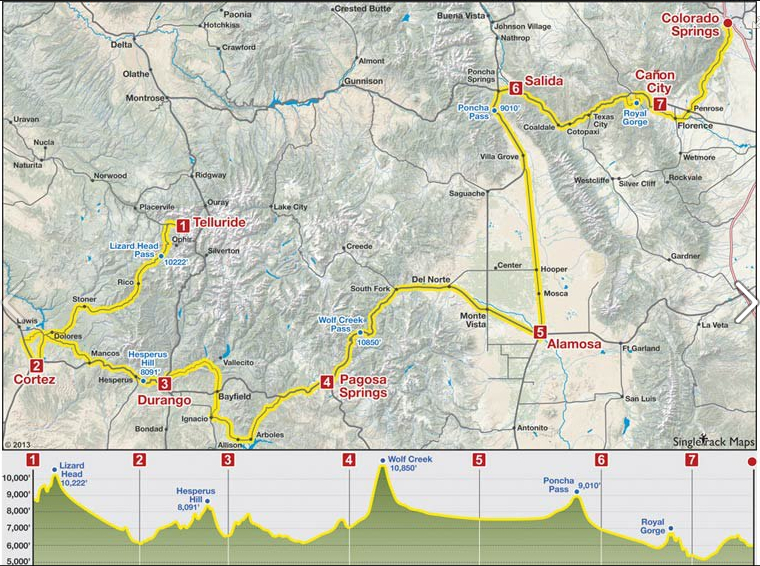 The Death Ride Tour will be riding Ride the Rockies' stage 1 and stage 2 in 1-day totaling 111 miles from Telluride to Durango. Ride the Rockies will branch off to Cortez to complete their Day 1 of 7. The Death Ride Tour organizer, Barry Sopinsky, also attended tonight's Ride the Rockies party. It takes a community here in Colorado to organize all these cyclists. 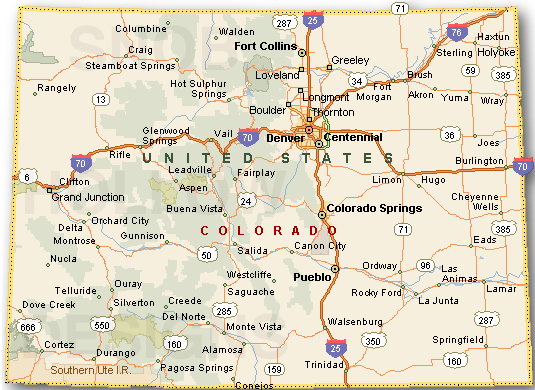 More event rides in Colorado listed at: 2013 Colorado Bike Events and Races - so many choices!